I'm currently in Japan now and will be here for quite a while! I hope to blog a lot more so hope you guys look forward to my random blogs about Japan! 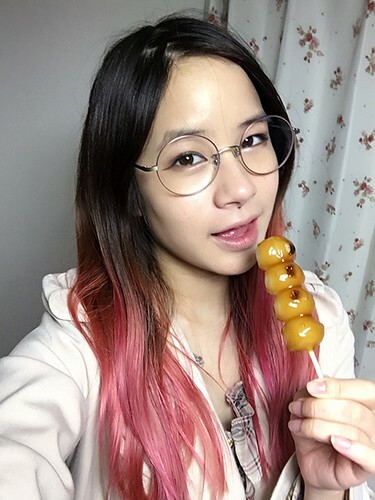 Today I just want to talk about getting glasses in Japan since I didn't know any of this stuff before! I forgot to bring my glasses from Australia, and as I was on my computer, I felt I was straining my eyes so bad. I was getting headaches and I just couldn't see clearly. I don't usually wear my glasses back in Australia so maybe this is why it's getting so bad. Anyway! 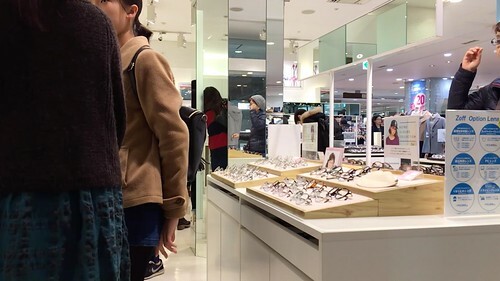 I made like a little rant on my twitter complaining about my eyes and feeling sorry for myself but then some people told me that getting glasses in Japan is actually easy and cheap! I had to go out that afternoon anyway so I decided to stop by Zoff, which my friend Mimei recommended me to go to! Zoff is a store specialising in glasses in Japan. There are many of them around Japan and they are quite cheap! I saw glasses ranging from 3000yen to 9000yen. I picked a pair that was 7000yen. Once you picked your glasses, you go get your eyes checked which surprisingly is INCLUDED in the fee you paid for your glasses!! How good is that? I know in Australia it is really expensive! It was quite busy when I went so I had to wait about 5-10 minutes to get my eyes checked. When I got my eyes checked, the optometrist realized my name was not a Japanese name and he asked if I could read Hiragana (since they use that to test your eyes instead of letters of the alphabet). I said I could so I did the test, it was pretty much the same as what they do in Australia. They show 2 colours, red or green, you tell them which colour is more clear, and then reading lines of hiragana. After the test was done, I paid for my glasses and then they told me to come back in 1 hour. I was SO shocked, 1 hour?? In Australia I had to wait at least 1-2 weeks to get my glasses!! I went and did some shopping, came back about 50 minutes later and my glasses were all ready!! I'm super happy with them, they were so efficient and were also friendly too! They really made sure that you are satisfied with your glasses. I'm so happy with them that I'm thinking of buying a few more before I go back to Australia!